Click here to download the installation instructions (PDF). This kit is specifically designed to replace the Porsche 996.110.253.52 fuel filter. This is mounted in the upper LH rear engine bay of the 996 and 997.1 chassis for all 911 AWD models and GT2/GT3. 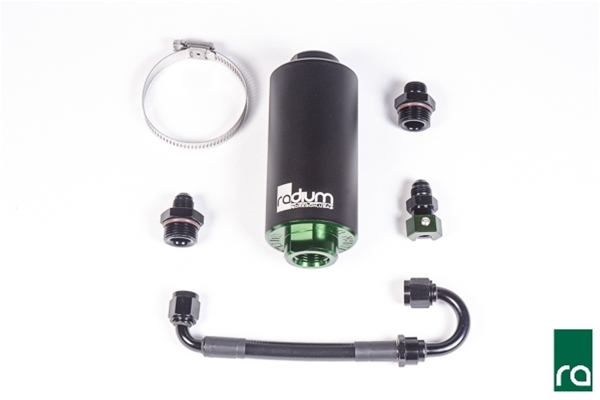 The Radium kit installs in minutes. No cutting or drilling is required. A couple of tools is all that is needed. 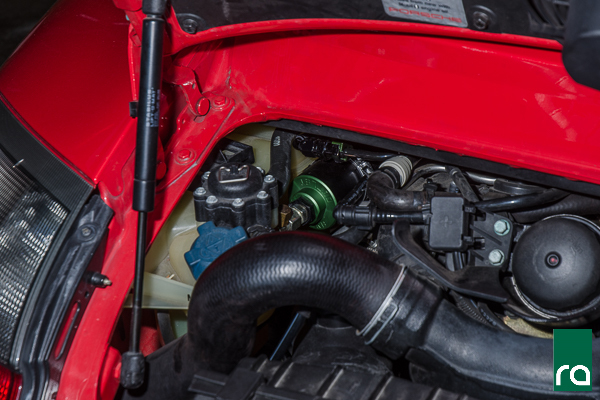 Because the Radium filter is less restrictive than the OEM Porsche filter, there is less stress put on the fuel pump. Lower pre filter pressures will permit less current draw and thus less fuel temperature. Furthermore, this phenomenon permits an increase in fuel flow. Depending on the element chosen, the filter can withstand alternate fuels such as methanol, ethanol, E85, etc. For more information, go HERE.